Sadly, too many organisations aren't reaching their full commercial potential due to outdated leadership approaches and mindsets being used. At Successfactory™ we are on a mission to change that. Our purpose is awakening possibility in people to deliver extraordinary results whilst operating with boldness, simplicity and speed. We work with you to ensure you have the very best leaders and teams in place to deliver your vision, promise and realise your true commercial success. We measure our success on your success. Being trusted by many of the world's leading organisations to develop their leaders and teams over a 25 year period, we know what great leadership looks like in today's volatile, uncertain, complex and ambiguous world. We teach the latest thinking around leadership, strategy, innovation, change and elite teams. As well as our developmental journeys, we have the added benefit of our purpose built venue designed to bring leaders and teams together to unleash learning and inspire action. You'll achieve so much more return on your investment when using our venue for your programmes. Many organisations choose it as their only leadership and team retreat. I've worked with Graham and Successfactory regularly over the last 15 years with various businesses and in differing capacities. Graham and his team have a great talent for working with people at all levels either in groups or individually and their skills extend from team building activities to supporting executive teams to develop strategy. Often implementing a strategy is where things get sticky they have a number of tips and tools to enable businesses to adapt to a changing climate and to consider and re-consider the robustness of their plan and adapt it where necessary. I have worked with Successfactory in a number of businesses to help the team to build their plan and to build some sound project and change management skills as a strong foundation for business growth and / or sustainability. I've chosen to work with Successfactory in four businesses and would have no hesitation in recommending them to other companies requiring similar support. Having worked with Graham a number of times he is a pleasure to be around. Motivating, articulate and good humoured Graham is a great Leadership coach and mentor and is one of the most positive and engaging people I have met working in this arena. He is down to earth and provides practical guidance on how to get the best from yourself and your team. He also has great stories and anecdotes and is great at reading the room and bringing a team together. It's always a pleasure working with Graham. Just wanted to say that the past two days have been incredible. The team-build certainly increased motivation and helped us to gain focus and clarity in what we have to do. The tools and techniques you shared with us were an added bonus and will help us to achieve success moving forward. Loved the venue and the Successfactory™ team are fab! Looking forward to coming back for ongoing workshops. Successfactory supported our business during an integration programme, helping us to build management capability in 3 of our country based businesses. They are always professional, creative and engaging in all that they did, engaging the delegates with real life reflections, experiences and creative ideas. 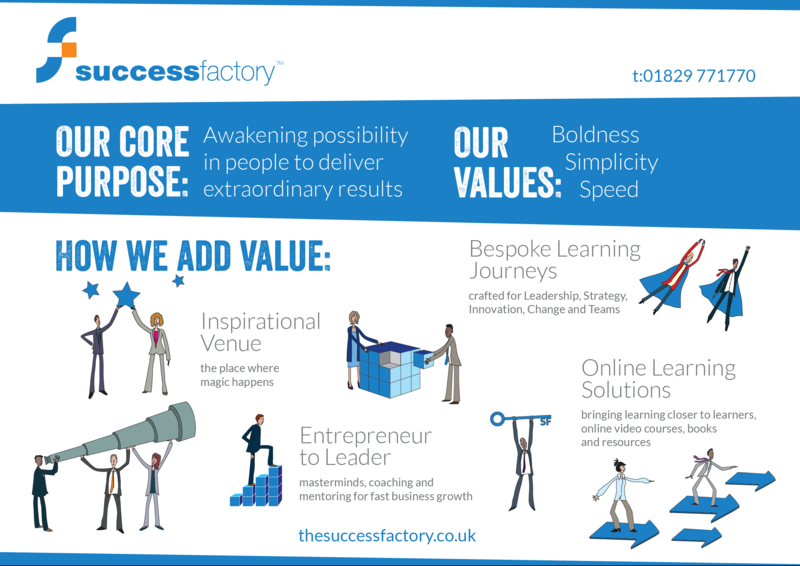 I recommend Successfactory to your organisation for the design and delivery of professional development programmes. 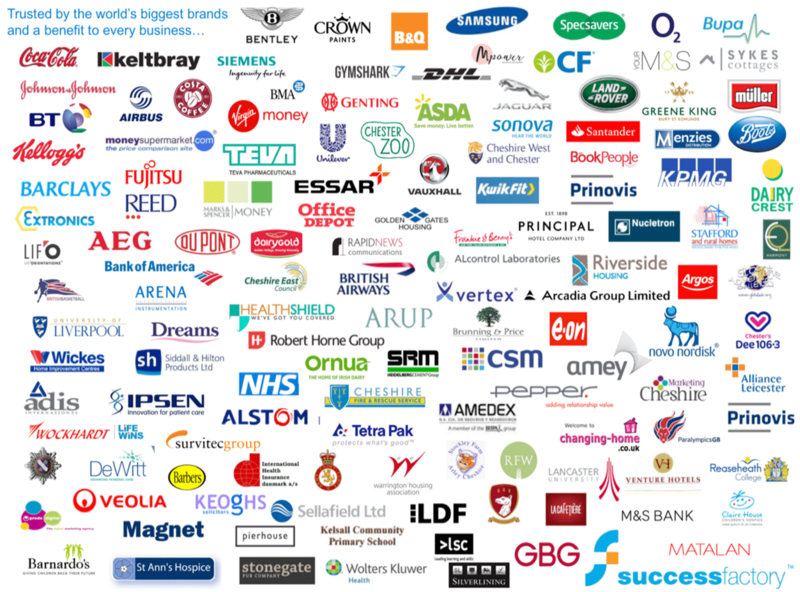 I've worked with Successfactory as a preferred supplier/partner for the last 15+ years. I always find they bring a pragmatic and real life perspective to solutions. They have a great wealth of knowledge of organisation change, leadership and project managements and is a great sounding board/ consultant in any of these arenas. The Successfactory venue is first class - a real place away from all it and a inspiring learning venue for any business or team event. We work globally to bring leaders and teams together, create an environment for them to learn, think differently and provide a process to stimulate great dialogue. 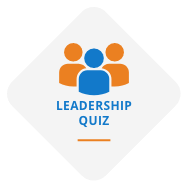 This enables leaders to safely explore and gain valuable insights to craft their own solutions and take action - fast! What is your current challenge or opportunity? What are the possible consequences for it not being fixed? How will you benefit when it is fixed? What has prevented it from being fixed before? What are the benefits of having a chat with us? We'd love to explore your answers to these questions with you. We're here to work with you to co-build and craft solutions to your opportunities and challenges. Fill out the form and put us to the test!